Bicycle motocross is a fun, exciting sport that the whole family can get involved in. But, stick around any BMX track for even a little while and you’ll have a whole new family. Your BMX family. Black Mountain BMX is run by some of the most dedicated volunteers in the world. It’s all about the kids and having fun. Come on out to Black Mountain BMX, meet the Track Operator Debbie Kelley, and see what we mean by “your BMX family”. The following is an article published in Deer Valley Magazine about Black Mountain BMX. Bright lights light up the meticulously groom BMX track. Boys and girls of all ages scurrying around the track. They push their bikes up the hill to the starting gate – pro’s and novice at the starting line. It’s a typical practice night at Black Mountain BMX. mastering their stamina and technique with their parents watching, encouraging and showing their support. It’s odd to see kids racing and the parents and spectators calm and respectful of other racers. The concession stand at the east end of the track has a nice menu and a very helpful staff. Different, they treat you like they know you well, like family. What is it about their job that they like it so much. The pay? With so many people and bikes, one would think the race registration would be chaotic, but it is seamlessly smooth. How does the staff know everyone, all the kids by name, newcomers and veterans alike? No signs posting restrictions or rules. How does everyone know what’s going on or what to do? It didn’t take long to find out how it all works so well. All you have to do is ask a racer, parents, grandma, Suzie, and certainly not the least, but rather the heart of the track, Debbie Kelley. 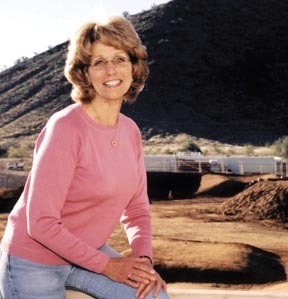 It’s Debbie Kelley’s voice that echoes over the PA system from the tower above the nationally renowned BMX track. And, it’s her presence, her ability to lead people and an entire organization through her example, that makes this track unique and well known. You won’t see her rushing around giving orders. What you will see her doing is interacting with the children, parents and those who volunteer at the track. Interested to know the secrets of how Black Mountain BMX came to be so successful, I asked Debbie if she’d like to share her story with our readers. After all business owners dream of smooth operations such as hers. She graciously agreed and that’s when the Mensa puzzle began. I asked Debbie Kelley how she had accomplished a well-run and nationally known track. If you don’t listen carefully, you’ll miss the hidden answers in her responses. She credits the gifts of others, their commitment to kids, the kids themselves and the sport. If I didn’t know better, I may have mistaken her for a politician. I wanted to know how SHE successfully hired the right people, set up the smooth running operations, how she knew how to develop and maintain the nicest track in the state. Every question produced a response that led to the efforts of others associated with the track, never herself. Debbie said Grandma started coming to the track when her daughter passed away and she took her grandson in to raise him. Her grandson became a BMX racer at Black Mountain and Grandma has been with the track now for 19 years. Grandma is known by everyone at the track, she’s vibrant, helpful and will gently teach you a manner or two. Suzie, who is also at the sign up window, doubles as the track nurse. She started at the track when her son was in BMX in 1993, and although he doesn’t race anymore, she’s still there getting to know each and every racer, parent and spectator. What’s more welcoming than someone remembering your name out of hundreds of people? The track is run by many others with stories like Grandma and Suzie’s. People LIKE it at Black Mountain, and the key to why lies inside of Debbie Kelley. Here’s her story and all the elements that make the business of BMX seem like anything but business. Debbie Kelley was born in Tucson, Arizona, and has resided in Phoenix since she was two-years old. Her grandfather was born at Fort Apache and her mother was born in Dragoon, Arizona. She grew up in the area of 23rd Avenue and Northern, when it was way out in the middle of farm country. Early in life, she learned that if she wanted something, there’s always a way to get it. In her case it was through hard work and creativity. “My mom and dad bought me my first horse, but I had to take care of all its needs – food and necessities. “To make the money to buy horse feed, I would iron for people at 10 cents a piece and wash windows. “I wanted to buy a saddle, so until I earned enough to buy one, I rode bare back. “I bought a calf and a burro from an auction house, traded those for a little stud colt, which had wire cuts all over his legs. What happened was, I saw this man with a stick with a suave at the end of it, trying to medicate the wounds on this colt. I think if he’d had a gun, he would have just shot it, but he was willing to trade my calf and burro for the colt. Then on to her next challenge. She had needed a saddle to participate in the junior rodeo and take lessons at Parkers Riding Academy. “Back then, Parkers Riding Academy was the ‘elite’ academy of Arizona,” recalls Debbie, “Anytime other riders would see the Parker riders coming to the show, they’d become discouraged because they knew they were the best. Debbie’s long haul in buying, nurturing, trading and bargaining, were all part of one long journey to get where she wanted to go. But that’s only the adventurous side of her youth that helped make her the leader she is today. In addition to learning how to have confidence in herself and her creative money making ideas, she became a young mother to her siblings following her mother’s serious accident, which left scar tissue on her brain and altered thereafter. “I remember, my mother sang like an angel. She could play songs on the guitar by just listening to the tune. She wrote poetry and could draw beautifully!” Debbie reminisces. Debbie didn’t voice any negative responses about her struggles during her childhood, she seamlessly carries each moment as a building block to complete the whole picture. “I came from a very gifted family,” explained Debbie. “There were five of us, two were twins. “My elder brother John is a world renown artist, extremely gifted in sculpting, bronze statues, painting, corporate identities, such as Coca Cola. . . it just comes to him naturally. “Charlotte, one of the twins, has my dad’s mind. A’s just went through the pores of her skin and Robert, her twin, is a gifted athlete. “I don’t know what my gifts are,” says Debbie humbly, “I achieved a Phi Theta Kappa status at ASU, but I really had to work hard for it. At twenty years old, Debbie married her friend and love, Pete Kelley at St. Simon and Jude Catholic Church, the spark that lead to Debbie’s life at Black Mountain BMX. Pete loved racing cars. He had a 1955 Chevy, he called the Blue Sleeper. At a time when everyone had sleek Camaro’s, Pete and Debbie were winning drag races in their boxy ‘55 Chevy. They toured and raced at Manzanita Raceway and B-Line Dragway.In 1973, Pete started two automotive businesses in Phoenix, Pete Kelley’s Automotive and Kelley Machine Shop. Kelley Machine Shop is still in the family, run by sons Troy and Shawn Kelley, in the area of 17th Avenue and Hatcher. Pete and Debbie blended their two hobbies, Pete’s cars and Debbie’s horses. They bred and trained registered Morgan horses, showing them all over the Western U.S.
Pete and Debbie had their businesses and a nice comfortable home at Sunburst Farms when they started their family.In 1975, to add to the list of hobby’s and adventures, the Kelley’s introduced their first two sons to BMX. Shawn was five years old and Troy was two. Later, their third son, Todd began racing big wheels at the track at only 19 months old. “We used to race at PXA at the corner of 43rd Avenue and Union Hills. Back then it was in the middle of nowhere,” says Debbie. “In 1981, Pete and I helped build the Black Mountain track where it is today off 7th Street just South of Happy Valley Road, with former owners Tom Wiley and Mike Guidici. We didn’t take the track over until 1987. “At that time, the track resembled a dump. With a great deal of work and pride, we have transformed it into one of the best facilities in the nation. “Pete and I worked at all the tracks we raced at. We traveled to other states with the kids and I kept a little black book of all the great ideas I saw at other tracks. “The track has always been a heart thing,” says Debbie. Everything Debbie did, started with heart and a 100 percent service to others. In June of 1982, Pete was diagnosed with Leukemia. His oncologist administered an unorthodox treatment at that time, giving Pete chemotherapy in pill form everyday. The norm was an intravenous chemo treatment every six weeks. From 1982 to 1995, Pete’s leukemia remained in a Chronic state. In March 1995, it went acute. “Pete was so loved, thousands of people tested to be a donor,” says Debbie, “We knew so many people from traveling around the world. Pete Kelley died in October 1995, eight months after his leukemia became acute. “It was really a challenge, within two and half years I lost my mother, my husband and my dad. And, two years after that, I lost my mother-in-law, Bea Kelley,” Debbie says with her chin up, but sadness in her eyes. “When you lose someone close to you, you realize how important it is to capture and appreciate moments while you can,” explained Debbie. In spite of the great heartaches Debbie has endured. Her gentle spirit remains bitter-free. She’s committed to living each day alive and of service to others, especially to youth in our community and around the world. It makes sense that a sport started by kids would be fun, individually competitive (meaning, you go at your own pace), and their parents would be right there encouraging and cheering them on. None of the typical sports politics apply at the BMX track. “It’s a place for parents and kids to be together. We joke about keeping parents off the streets!” Debbie laughs. “We are teaching kids about tradition, the importance of family, personal responsibility and accountability, along with how to care for others needs in the community,” explained Debbie. “We are so committed to responding to the needs of those in our community. “I read in a paper that the Thomas J. Pappas school for the homeless needed books; we held a book drive at the track and had three pickup trucks full of books from the kids for the school. efforts in raising $2.5 million for the society. Other fundraisers Debbie has Black Mountain helping is “Feed the Hungry” drive for Westside Food Bank, and the Daisy Mountain Fire Department’s “Toys for Tots” race. “Kids get more out of the track than a sport and competition,” Debbie said, “Kids are recognized and receive an enamel pen when they make honor roll. “Another thing we do at the track, is ask for kids to sing the National Anthem. I think it’s important that they are involved and know the words and learn American traditions,” Debbie adds. “We post the red, white and blue, have everyone stand before the race and have our young people sing the anthem. 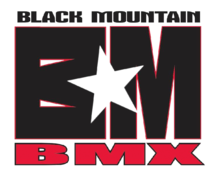 The property in which the track is located is state owned and leased by Black Mountain BMX. Hosting the nationals each year helps make the land payment. As with all businesses after 911, business and revenues were slow, so Debbie has often times taken track operation expenses out her own pocket. “If the track pays for itself, it’s a blessing. If not, then I may have to dip into the house budget. . . it always comes back,” says Debbie. Following the interview with Debbie Kelley, I came to see, she is the heart of Black Mountain BMX. She has brought her life’s experiences, patience and genuine love of others to a place where children and adults excel on their own, both in service and personal challenges. Debbie believes in others. She doesn’t have the need to be higher than anyone. She considers herself an equal in all regards. She gives people the freedom and trust to do what they are good at, developing their own sense of pride in track operations. There is no hierarchal system that causes the friction found in an average workplace. Everyone is equal, accountable, appreciated and takes 100 percent credit for the track’s smooth, successful operations. Debbie Kelley is a leader, a successful one, because she believes in others and gives them the freedom to do a good job.